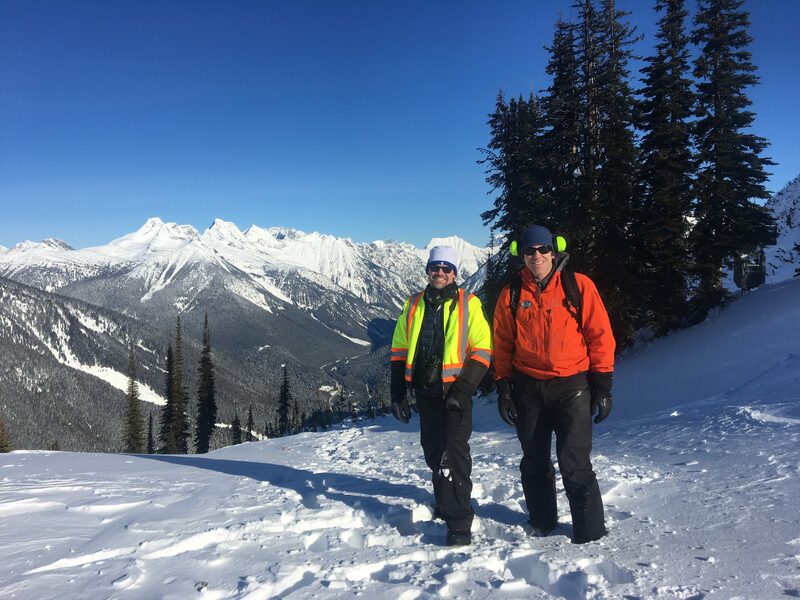 Rocky Mountain District Manager Ron Sharp (left) with Avalanche Technician Neville Bugden. If you’ve ever reached out to your local Ministry of Transportation and Infrastructure district office about an issue, there’s a good chance you’ve talked to one of our district managers. The District Manager, Transportation (also known as the DMT), is essentially the face of the ministry to the public. The district manager is the leader of their district. 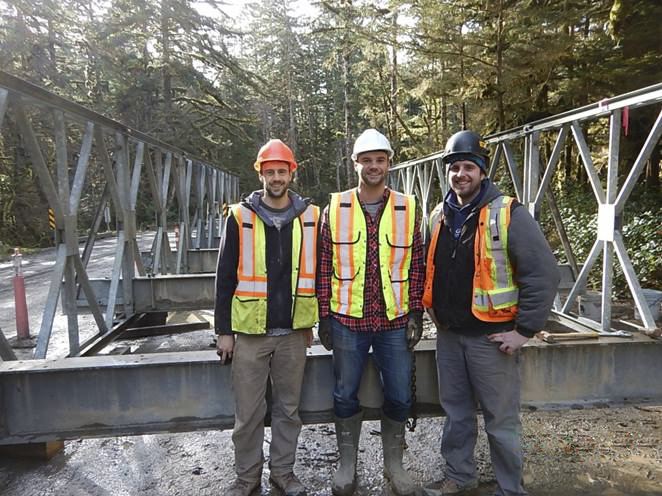 They are responsible for providing and overseeing all manners of local transportation services – think highway maintenance, bridge inspections, subdivision approvals, commercial vehicle enforcement and so on. TranBC: What is the impact of the role? That ownership and responsibility is critical. You’re also the face to local governments and Indigenous communities. It’s such a multidimensional and critical role. Paula Cousins, Southern Interior Region Deputy Director (formerly Thompson-Nicola District Manager), pictured in middle, with staff. 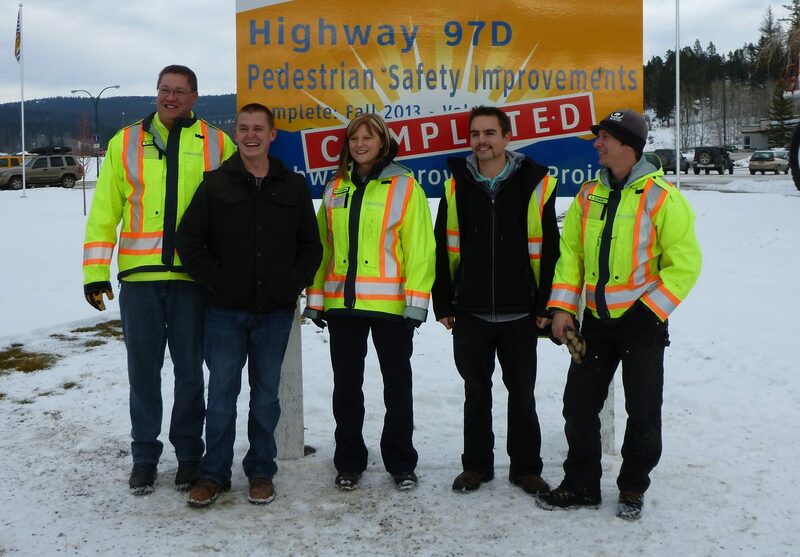 TranBC: What is a typical day like for a district manager? Darrell: A typical day of a DMT is atypical. There’s so much variety in the role, and the district is responsible for so many awesome things on a local level, that you never know what you’re going to be brought into. You can start the day on a small but very important file to a stakeholder, and at the end of the day, involved with an important call that’s affecting the minister’s office. The variety in this role is something that’s very special and, I think, unique to the position. Michael: You really are the owner of your area, of your district. You are responsible for everything – so that’s stakeholder relations, projects, staffing, emergency response – it’s a whole plethora of things. TranBC: What is a DMT responsible for when it comes to emergency response? Ron: As a district manager, we are not expected to be the expert in every facet of district life. Our teams are the experts. The roles that our teams play – whether it’s emergency response or an incident on the highway – it’s the expertise and professionalism of that team that goes out in the field that is so important. As a district manager, your role is to support in the training and support your team in a workplace culture so we come to work and feel empowered. Paula: The DMT is the face of the ministry. So, when something happens on the highway, or even before something happens – that culvert looks like it’s plugged, the water is piling up – the first call comes to the district. And so the DMT’s role is ensuring the team is ready, making sure we have a plan before those events hit. That planning work is critical to the safety of people, which is our top priority. 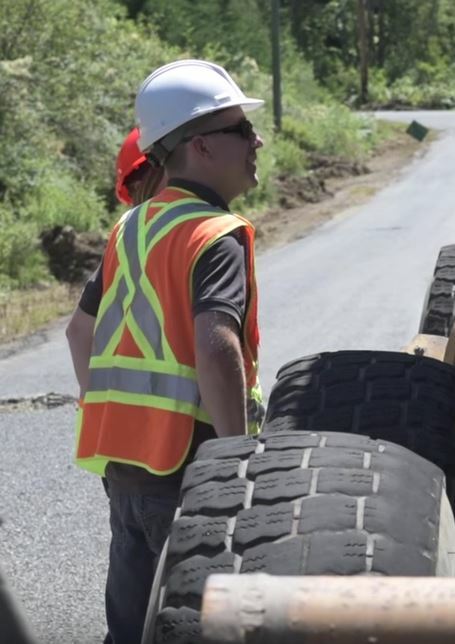 In freshet, for example, we do a lot of preparation work: we make sure we have supplies, we have kits, we have protocols, so that when our teams are called out, they know what their role is and how to be safe. The DMT, in essence, is your incident commander back home, making sure the reporting in is happening, that the public knows what’s going on, that executive is briefed. The DMT is the person who is giving support to the team. TranBC: What are some of the most important skills? Darrell: Relationship building is one of the most important skills to the district manager role, whether that’s internally or externally. We’re serving the public, and trust is a big part of that, so how you build and maintain those relationships is absolutely critical. Vancouver Island District Manager Michael Pearson. Michael: I agree. Another thing that I’ve found really helped me in this role is the ability to make decisions. You can’t get stymied. You have to be able to take calculated risks, because there are a lot of issues that are coming at you all the time. So, take the information, rely on your resources, and make a decision. TranBC: Why did you decide to become a DMT? Paula: I had aspirations of moving into leadership in the Highways Department and felt I needed to have the experience answering the phone and directing our attention – everything from a road that needs plowing, to a massive rockfall that’s taken out a major highway. It’s unlike any other job in the ministry. What I didn’t expect when I became a DMT was the incredible pride and job satisfaction. It’s a tough job, but it’s the most rewarding job I’ve ever had. Darrell: For me, one of the reasons I wanted to become a district manager was, I have never met a current or past district manager who didn’t say the same thing, which is: the district manager is their favourite job they have ever had. Michael: For me, I love the pace of it – the impact, the diversity, not knowing what’s going to happen in a day. I just love all that. It keeps it interesting, and you really get that sense of pride when you deal with all sorts of issues. Ron: You’re able to be a part of something bigger than yourself. It is incredibly rewarding. That was a great story…thanks for putting it together! I really like the story what the role a D.M. has to play. Thank you for publishing this story as I quite frequently contact the district managers in these regions about road & highway issues & projects & ask myself what they do during their day ?. Glad to hear you liked this post Todd – thanks for letting us know!